A nice soft walk on Handover Day. About 2 months ago, Anna and her Mom were sitting on the terrace enjoying a cool drink after having a riding session with Shaman. 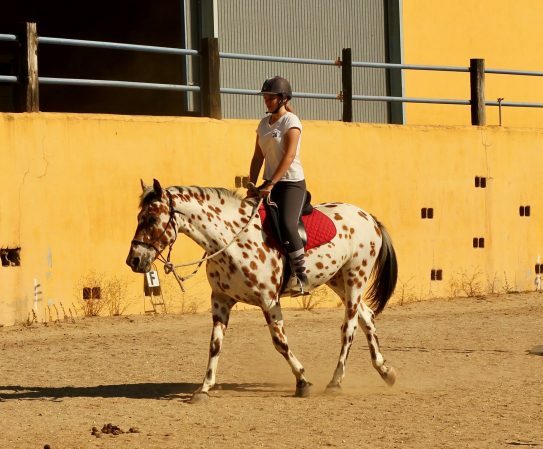 Shaman is a 6 year old appaloosa gelding they have been sharing time with for about 2 years. 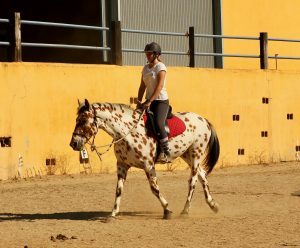 Shaman is at livery on the ranch in Spain where I am based. Little did I expect the tears and emotion that that question were going to elicit…. It’s my time to shine! Well here it is! 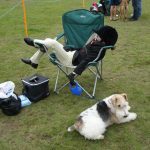 My very own blog! I have hmm’d and umh’d and procrastinated and put it off time and time again…. But this is no longer! 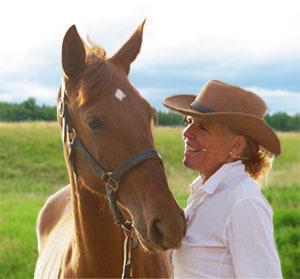 I am ready to share what I have learned and experienced during my 45+plus years with horses. 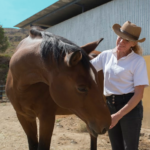 And if what I share resonates with one person out there and it makes a difference to at least a single horse in the world I will feel I have succeeded! For many years I have hidden in the shadows of a big guru or programme. I have supported these people with total dedication and loyalty. In return, I have gained invaluable knowledge and had experiences of a lifetime which I will be forever grateful for. But now…. It is my time to shine…. It is my turn to be brave and put myself and my beliefs out there. 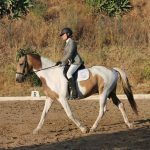 It is my turn to speak up for horses in spite of my fear of “social media criticism”. I am prepared to take the brunt of it knowing that I come from a place of integrity and good intention. It is time to believe in myself and give myself permission to be commended and/or critized – publicly! Competition: is there another way? 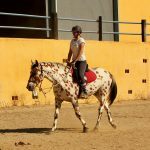 Does your horse really want to be caught? 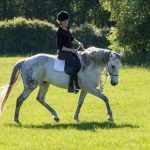 I'm a horse lover & horsewoman and my passion in life is helping other horse lovers develop fabulous partnerships with their horses by focussing on softness and connection.